The sight of a young child carrying one end of a stick to lead a blind middle-aged man to beg for alms is a poignant reminder of the debilitating impact of neglected tropical diseases on the health, well-being and dignity of affected people. Neglected Tropical Diseases (commonly abbreviated as NTDs) are a group of parasitic and bacterial infectious diseases. They have been eliminated from most of the Middle East region although they still claim more than 170,000 lives each year and affect over 1.58 billion people globally. These diseases are called “neglected” because they afflict the most destitute, vulnerable, and neglected populations. Neglected Tropical Diseases cause severe pain, disabilities, deformities, malnutrition, stunted growth, cognitive impairment, social isolation, and humiliation. They also affect a person’s ability to attend school or work. Anemia caused by some NTDs has a direct impact on maternal mortality. In Tanzania, for example, all 5 of the highest burden NTDs are common. We know all too well the despair and debilitation that comes with each one of these diseases. The stigma, humiliation, and social exclusion can be absolutely traumatic to an individual’s self esteem and mental health well being. Economic hardship and cyclical poverty have become synonymous with NTDs. People in affected countries are unable to work and provide for themselves, or their families, perpetuating the cycle of poverty and being set up for failure not success. The direct negative impact on African economies as a result of these diseases is clear and evident. We MUST come together in the spirit of “Ubuntu” and togetherness to collectively eliminate these diseases. NTDs are not just an “African problem.” They are a global problem, and we must all share the burden of working towards control and elimination. The good news is that there is a solution to the PCT NTD problem—low cost, highly effective drugs that can prevent and treat these diseases. The CEOs of the world largest pharmaceutical companies have made these drugs available for free. And a critical new piece of the puzzle was created last year when the World Health Organization launched the Expanded Special Project for Elimination of Neglected Tropical Diseases (ESPEN). 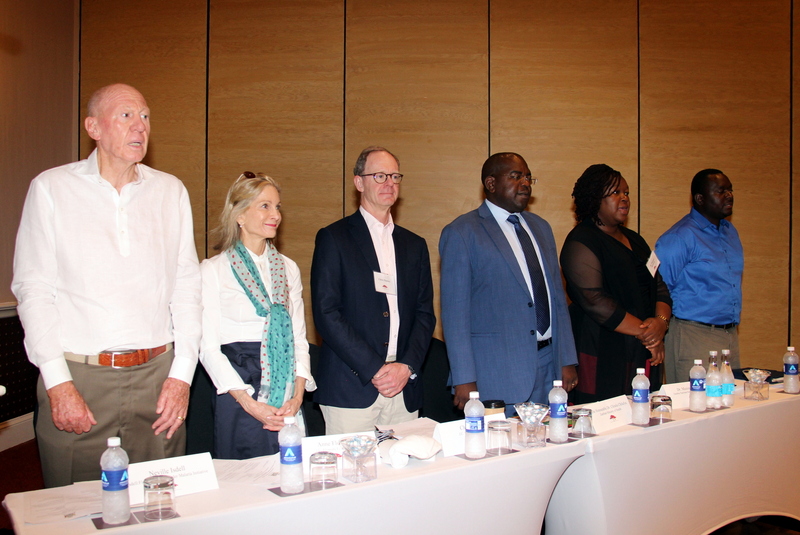 ESPEN draws together the community needed to mobilize the necessary technical expertise, political will, technical, innovative, pharmaceutical, and financial resources to end the scourge of PCT-NTDs for the people of Africa. ESPEN is just one year into its implementation and we are already seeing its results. For example, 30 million people have been reached through direct operational support to mass drug administration in fifteen countries. Just this year, the World Health Organization announced that Togo successfully eliminated lymphatic filariasis as a public health problem. We are all proud of the fact that the Kuwait Fund, one of the longest standing leaders in the fight against NTDs in Africa, was one of the first donors to support ESPEN. This week, the Kuwait Fund is hosting leaders from the Middle East and other governments, African Ministries of Health, NGOs, the private sector, global donors, philanthropic organizations, and other stakeholder groups to expand the team of partners supporting ESPEN and the fight against NTDs. The power to succeed in NTD control and elimination lies not just in the hands of African countries and leaders but also in the communities and persons of good will. We are calling upon everyone to join us in the fight against NTDs. On behalf of the most disadvantaged people, it is imperative that we all rise to answer this call and provide the funding and needed resources to eliminate the threat of NTDs. Each one of us can help empower the people of Africa to win this battle by 2020. It is our sincere hope that everyone will rise to the challenge and do their part. Together, we can make a difference. As the legendary Nelson Mandela once said: “It always seems impossible until it’s done.” Let us all heed these words and unite behind the spirit of Ubuntu and our efforts to eliminate NTDs from Africa. H.E. JAKAYA M. KIKWETE is the former President of the United Republic of Tanzania, 2005-2015. 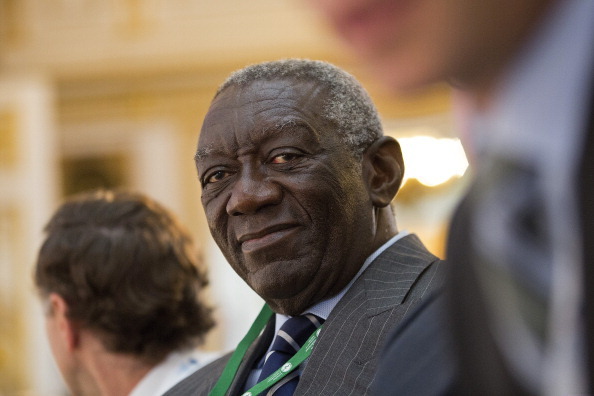 He is an advocate for health including NTDs and Maternal Health. DR. MATSHIDISO MOETI is the World Health Organization Regional Director for Africa. ABDULWAHAB AL-BADER is the Director General of the Kuwait Fund for Arab Economic Development.